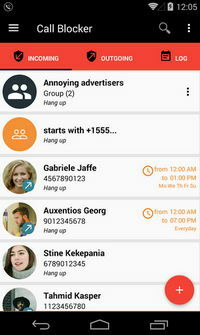 Intuitively block unwanted calls whether incoming or outgoing and avoid spammers and advertisers with Call Blocker Pro version by lithiumS. The app uses the most advanced and fastest algorithm of blocking calls to ensure you complete peace of mind from annoying callers! There are many settings to choose from for blocking incoming calls, namely; reject it, silent or, if supported by your device and the network, the caller will hear in response "the number you dialed is not available" or "wrong number" or something similar. You can password protect the application, set the list of numbers to be blocked, choose the ones to whitelist, etc. With CallBlocker 2.12 Pro you can add numbers from contacts, manually, from call history and messages, or only numbers that start with certain digits. 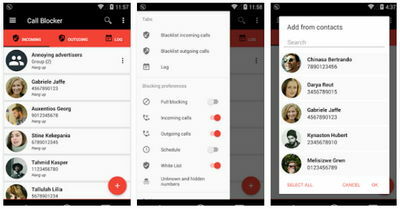 Remember you can disable the logs to make the app stop notifying you of blocked calls!